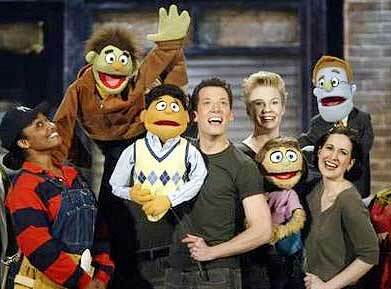 I know this books been out for awhile, but I just purchased Avenue Q: The Book. So far it seems like a great read, it has good closeups of the characters, provides hillariously dynamicÂ insight as to the making of Avenue Q…only one thing is wrong…the book’s cover is orange fur…which unfortunatelyÂ sheds as you take out the book from it’s case. I spent about 10 minutes de-shedding it before I couldÂ even open the book.Â Still an amazing book for fans!